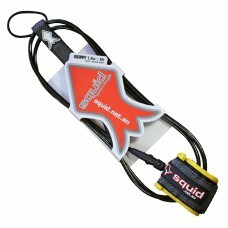 Squid surf board legropes have been constructed from quality German Bayer urethane, double swivels and quality moulded ends. LENGTH - 6ft - 1.8mWAVE SIZE - 1 metre maximumCORD - 5.5mm thicknessFEATURES- Heavy duty urethane co.. 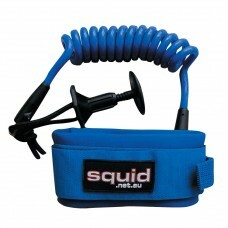 LENGTH - 6ft - 1.8mWAVE SIZE - 2 metre maximumCORD - 7mm thicknessFEATURES- Heavy duty urethane cord.. 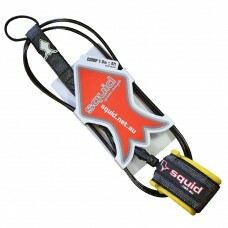 LENGTH - 7ft - 2.1mWAVE SIZE - 2.5 metre maximumCORD - 7mm thicknessFEATURES- Heavy duty urethane co.. LENGTH - 9ft - 2.7mCORD - 8mm thicknessFEATURES- Heavy duty urethane cord- 2 piece stainless steel l.. 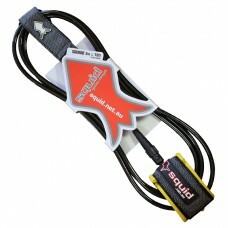 LENGTH - 8ft - 2.4mWAVE SIZE - 3 metre maximumCORD - 8mm thicknessFEATURES- Heavy duty urethane cord.. LENGTH - 10ft - 3mWAVE SIZE - 5+ metre maximumCORD - 8mm thicknessFEATURES- Heavy duty urethane cord..
FEATURES- Heavy duty urethane cord- 2 piece brass linear swivels- High grade polymer moulded constru..